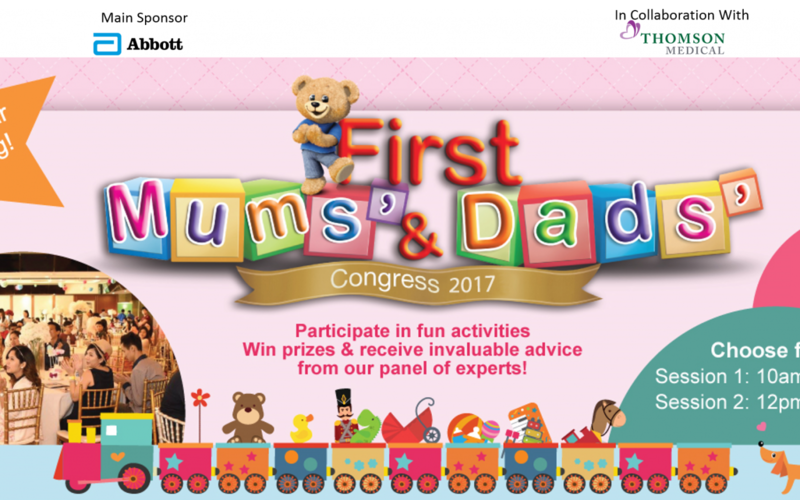 Back for the 12th year running, First Mums’ and Dads’ Congress 2017 welcomes all new parents-to-be to sign up for a session of informative and interactive activities! Learn from our panel of experts from Thomson Medical Centre and prepare yourself well! Know what to expect during and after pregnancy, learn about your breastfeeding journey and winning ways to soothe a crying baby through a live demo; and get nutrition tips for a healthy delivery and breastfeeding success. Register with your partner for either an AM or PM session of engaging games, activities and education now! Grab your tickets or find out more.